Wales, in Great Britain, isn’t as famous as England or Scotland. 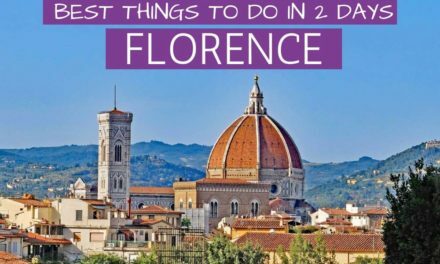 However, Wales is beautiful and you should not skip it when visiting its eastern neighbor England and so, this post names the best places to visit in Wales. However, Wales too, is a beautiful place to visit and at one point I actually lived there for about two months doing an internship at one of the universities so I got to see a little bit of Wales even though it was November/December and very cold and rainy (but after all I was in Great Britain)! 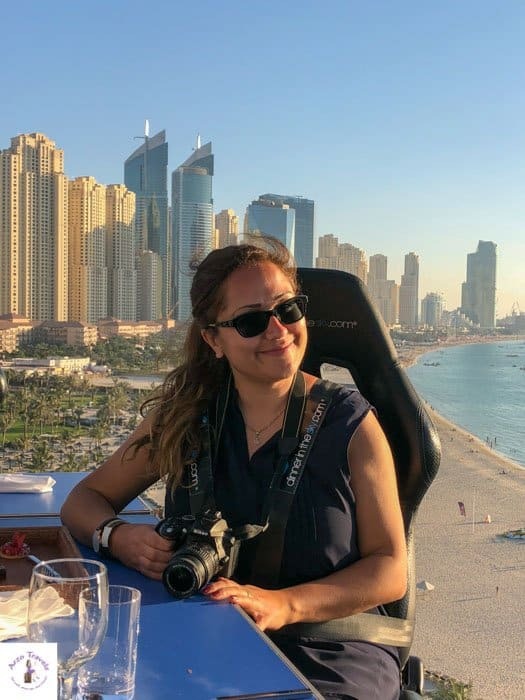 I have gotten a good idea now of the beauty of this country but since I couldn’t see all of it I have asked some other travel bloggers who know the area a little better to give me their top recommendations of where to go in Wales. 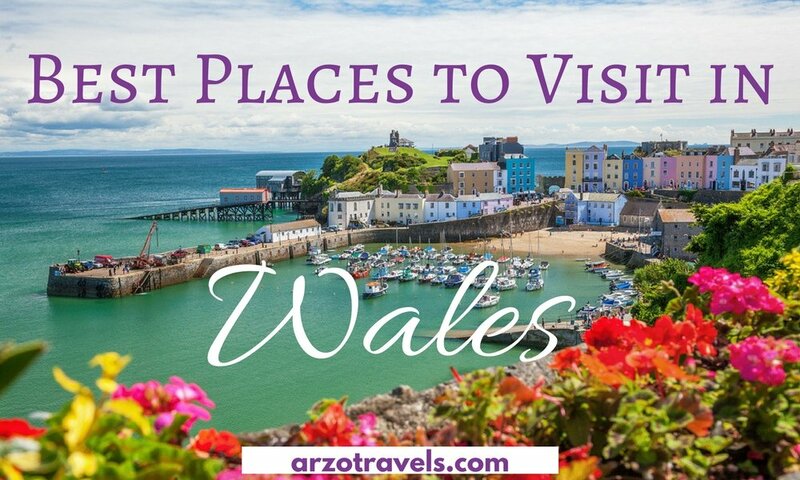 You can hear about all of the best places to visit in Wales in this post so that you can find some travel inspiration for things to do in Wales. Wales is currently still in the European Union as part of Great Britain, however, this might change in a few years. Also, you should be aware that even though it is still part of the EU you pay with pounds and not with euros. Okay, here they are the best places to see in Wales. 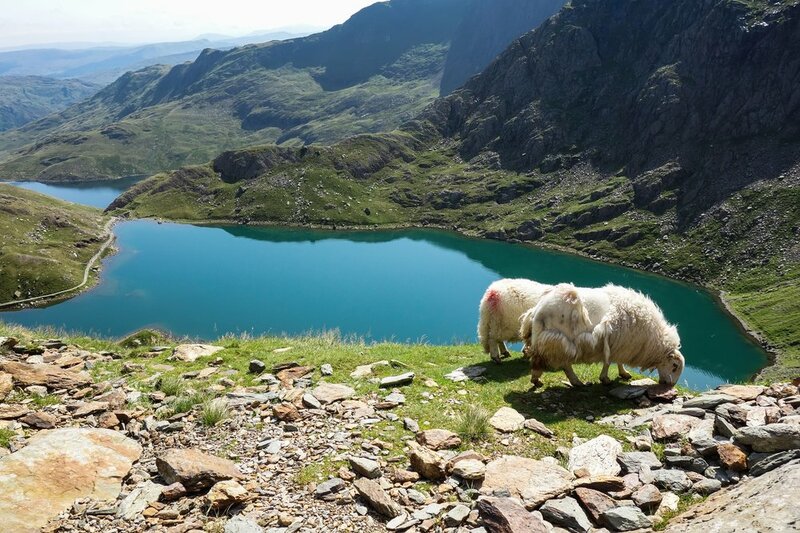 The Snowdonia National Park has some of the most outstanding scenery in the UK, and so many activities to enjoy here, from some incredible walks to the pinnacle of Wales tourist attractions, hurtling down a zip wire above a rocky mountainside! Snowdonia is named after its highest mountain, Mount Snowdon, which is only a few miles from the north coast of Wales. The National Park actually extends around 80 km to the south, to the Dovey Estuary halfway up the Mid Wales Coast, and includes several mountain ranges, from Cadair Idris in the south to the remote Carneddau and the Snowdon range in the north. Snowdon is one of the most popular places to go in Wales and can get quite busy on a sunny summer day. This is partly because you can catch a train on the Snowdon Mountain Railway to the summit and its café, Hafod Eryri, between April and October. A much more difficult way up is via Crib Goch, the ‘red ridge’, a narrow, knife-edge arête that’s not for the novice. 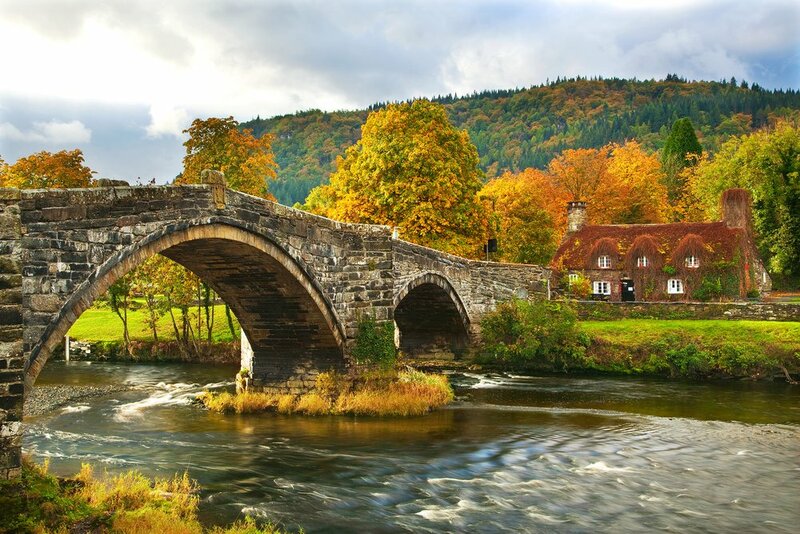 The two most touristy villages in Snowdonia, Betws-y-Coed and Beddgelert, are a world away from the rugged mountains, with a chocolate-box charm in their riverside settings. Both make great bases for exploring Snowdonia, with Betws having more accommodation options. Snowdonia is also renowned for its castles. Some of these were built by Welsh princes to defend their land, and English king Edward I built some close to the coast to subjugate them. Caernarfon, Conwy and Harlech are hugely impressive, but smaller Welsh fortresses like Dolbadarn and Dolwyddelan are also very evocative sites. It’s also well worth taking the time to see some of Snowdonia’s coastline. Harlech beach is one of the most magnificent in the UK, with Snowdon the backdrop in clear weather. Around 20 km to the south, the Mawddach estuary at Barmouth is a sublime spot, with great beaches either side, overlooked by the might of Cadair Idris. 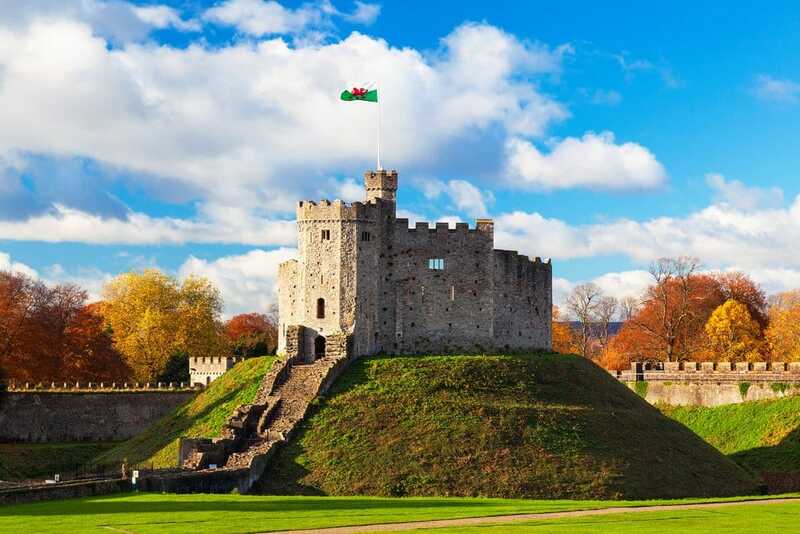 When I planned my visit to Cardiff, Wales, I envisioned exploring the castle grounds, checking out Cardiff Bay and visiting St Fagans, the open-air national history museum. My plans were foiled when it rained the whole time but visiting Cardiff’s arcades saved my trip. Known as the City of Arcades due to the high concentration of Edwardian, Victorian and modern arcades, the shopping in Cardiff does not disappoint. In my opinion, the best arcades in Cardiff are the Castle Arcade, Morgan Arcade and Royal Arcade. The shops in these arcades are unique and diverse and there are treasures waiting to be discovered around every corner. In Royal Arcade, Barker Gelato Ice Cream Parlour makes an awesome freakshake that looks as good as it tastes. Morgan Arcade is home to the oldest record store in the world, Spiller Records, which is still selling albums to music enthusiasts from around the world. And in Royal Arcade, the funky vintage shop, Sobeys sells unique and one-of-a-kind vintage and reworked clothing. So, if you’re wondering what to visit in Wales on an (inevitably) rainy day, try checking out Cardiff’s many shopping arcades. Although the shops are amazing, it’s the people that made this city one of my favorites. 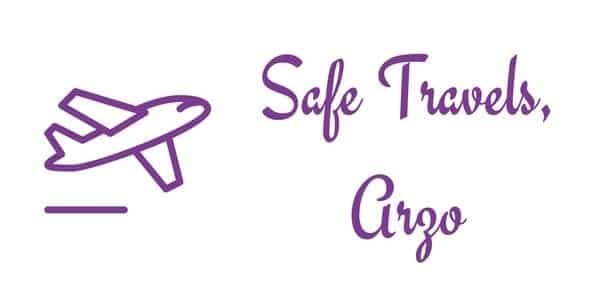 Everywhere I went, I was met with friendly, interesting, and interested people who didn’t hesitate to offer recommendations. Because of them, my trip through Cardiff’s arcades was the best way I could have spent my Cardiff trip. Wales has a very strong literary tradition. The landscape and culture there inspired the works of Bruce Chatwin, JRR Tolkien, Roald Dahl and Dylan Thomas, to name just a few. So, if you are a bookish sort and looking for places of interest in Wales, it’s a great place for a literary itinerary. One of the highlights of that itinerary should be booking your own literary slumber party at the Gladstone’s Library. William Gladstone was a long-time Member of Parliament and Prime Minister of the UK during the mid to late 1800’s. He had a vast and varied appetite for reading, accumulating over 32,000 books in his lifetime. His library is the UK’s only Prime Ministerial library and one of the world’s very few residential libraries. 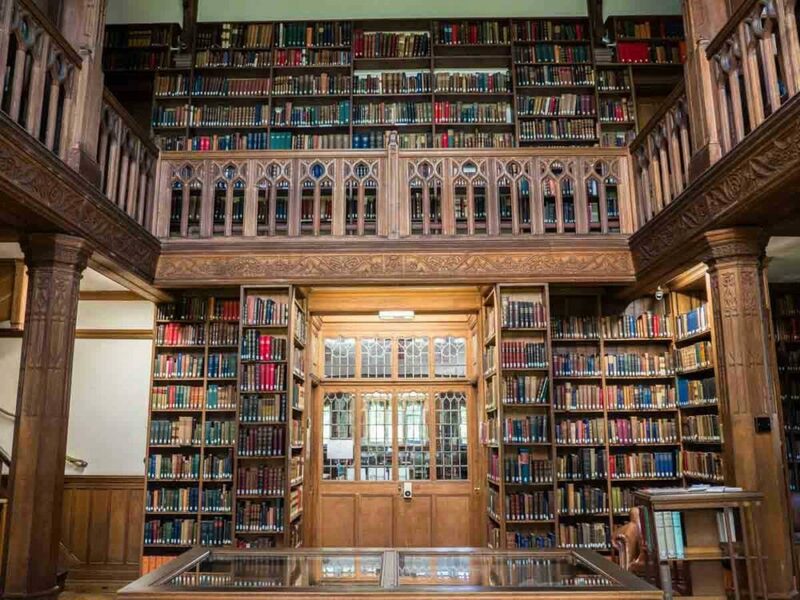 The building houses Gladstone’s collection along with 250,000 other printed works. 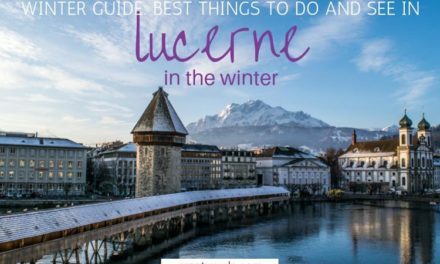 They have a writers-in-residence program, conference facilities, host a book fair and offer regular multi-day courses on literary and language topics. The Victorian building houses the library collection in the west wing, and the east wing is home to 26 rooms which are available for accommodation. Visiting the library would be nice enough but staying in it is a very unique experience indeed. You get special off-hours access to the library and you are sharing your meals with other book nerds. The library offers a special quietude that is conducive to research, writing, and contemplation. It’s a very peaceful respite from the rat race. “Books are delightful society. If you go into the room filled with books, even without taking them down from their shelve, they seem to speak, to welcome you” -William Gladstone. After recently visiting all the UK National Parks one of my favorite places in Wales was the Pembrokeshire Coast National Park. This coast has some of the most stunning scenery I’ve ever seen. And it’s perfect for wildlife lovers too. With seals, porpoises, dolphins and even whales being spotted. It has steep cliffs and gorgeous beaches looking out to the Irish Sea. And it’s the only National Park in the UK that’s completely coastal, making it a unique place to visit. It’s a wonderful place for bird watchers too. You can take boat trips to nearby Ramsey Island Nature Reserve. And during May to August, you can see the beautiful puffins. 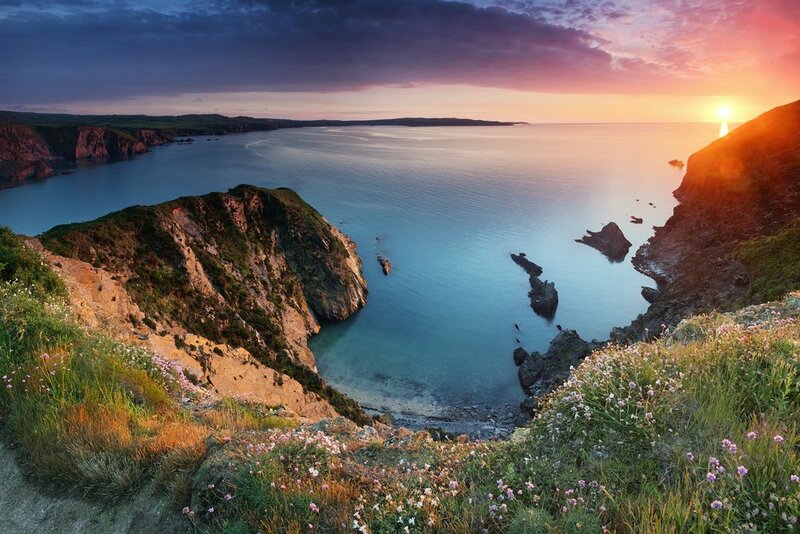 If you’re a big hiker there’s one of the UK National long distance walks along the Pembrokeshire Coastal path. From start to finish its 186 miles/ 299 km, that’s a lot of beautiful views! Or alternatively, you can take a more leisurely approach and visit sections of the path each day. There really is something for everyone here. During my trip to Pembrokeshire Coast National Park, I stayed at Caerhafod Lodge. A perfect place to base yourself to explore the area. Including views out to the Irish Sea from the accommodation’s picnic area. 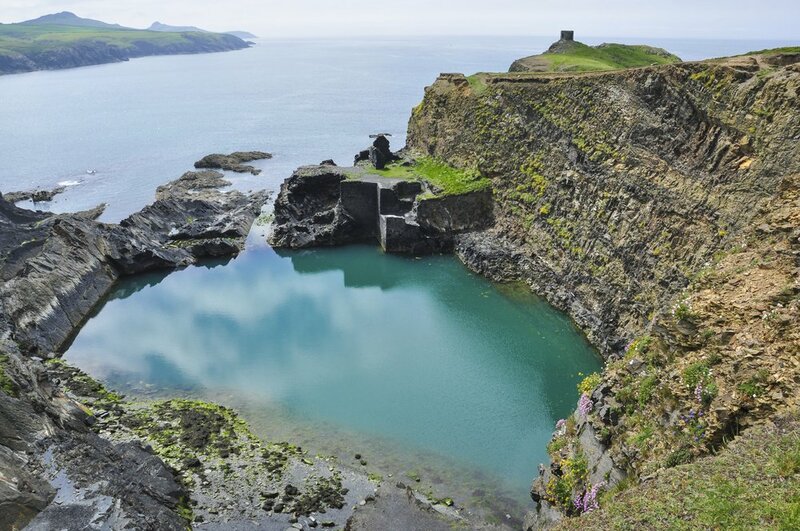 When in Pembrokeshire make sure to see the beautiful Abereiddy Blue Lagoon. Surrounded by heart-stopping cliffs, jagged rocks, and filled with stunning turquoise blue waters, it’s one of the best places to visit in Wales. A reminder of Pembrokeshire’s industrial past, the Blue Lagoon was a created due to it being a former slate quarry. Active until 1910, once the quarry was not needed any longer, it was abandoned and flooded. Although, nowadays, the Blue Lagoon is a popular place for adrenaline-seeking adventurists who jump into the deep blue waters below. In 2012, the Blue Lagoon was the chosen spot for Red Bull’s Cliff Diving World Series – the first time the event had ever been held in the United Kingdom. 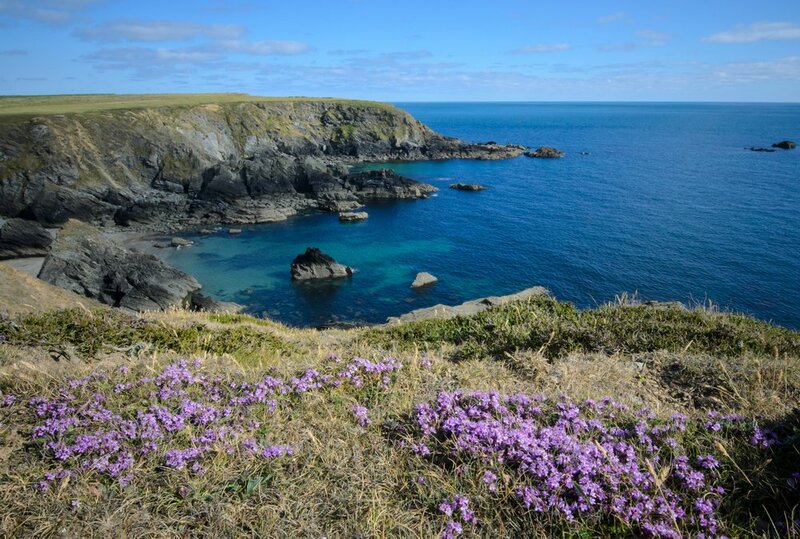 But, not only is there the Blue Lagoon to see on the Pembrokeshire coast, there’s also Abereiddy’s beach, stunning viewpoints, and curious stone ruins. For those who aren’t wanting to take the plunge into the waters of the Blue Lagoon, rocky trails along the cliffside guarantee visitors gorgeous views. Taking them up to windy grassy hills onlooking the surrounding ocean and Wales countryside, as well as the view of an interesting stone ruin on top of the nearby cliffside. 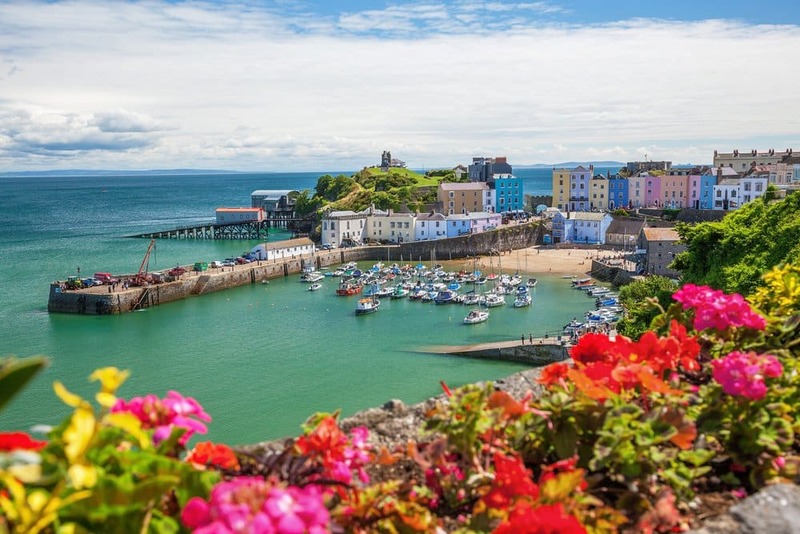 The gorgeous harbor at Tenby is one of the most beautiful places in Wales with its curve of pastel-painted Georgian townhouses looking down onto a harbor full of fishing and pleasure boats. It’s also the departure point for some wonderful boat trips which explore the fascinating coastline nearby. Caldey Island lies four kilometers (two and a half miles) to the south of Tenby, and some boats land there, while others do a circuit of the island. We recommend both. The island is home to a remote Cistercian monastery and churches, as well as some amazing coastal walks. Parts of the island have recently been opened to the public again – the isolated beach at Sandtop Bay is accessible again, and well worth the short walk across the island. Many visitors just walk up to the lighthouse, which has great views over the dramatic south coast of the island. Caldey – along with its uninhabited neighbor, St Margaret’s Island – is one of the best places in Wales to see large colonies of nesting seabirds, including cormorants, razorbills and puffins, for a few months each year. The best time to go bird-watching is in spring and early summer (May to July). The cliff scenery is spectacular, and the boats go in close to the vast, sheer walls of rock to give you a close-up view of the birds. You also often see Atlantic grey seals basking on tiny inaccessible beaches at the foot of the cliffs. The crossing from Tenby takes around twenty minutes. The return journey is always a pleasure, taking you past South Beach and the Esplanade above, passing the headland before pulling into that beautiful harbor. Of course, one of the first things that you will probably do first, is to hit the beach. 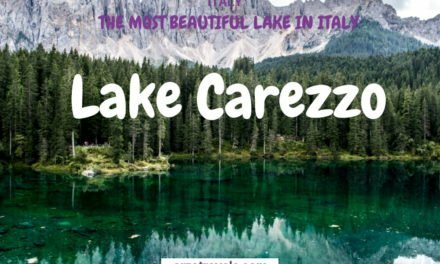 The water is probably quite cold throughout the year but it is still a lovely place to visit and (if you are brave enough) it is a great place to swim. What really sets Llandudno apart from other places to see in Wales is that you get great views of the mountains and some beautiful houses lined up at the beach and not just your usual ocean view. 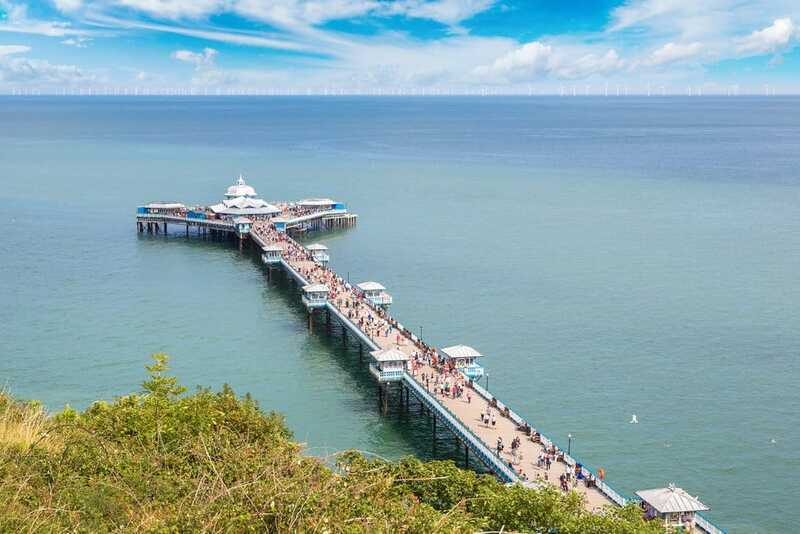 As with most coastal towns in Great Britain, Llandudno also has a great pier which you can visit as well as plenty of restaurants. To have the best views I recommend that you take the cable car ride which takes you up to 250 meters where you can enjoy a great panoramic view of the Bay of Llandudno. Once up at the summit, besides enjoying the view you can see the mountains of Snowdonia. You’ll also see Puffin Island where there are great opportunities for hiking on its beautiful trails. Tickets for the cable car start from about 12 euros for a return If you are looking for places to visit in Wales, Llandudno is not to be missed! We can’t talk about what to see in Wales without mentioning Pen y Fan. Pen y Fan – which in Welsh means the top of the beacon – is the highest point of the Brecon Beacons range, and indeed the whole of southern Britain. 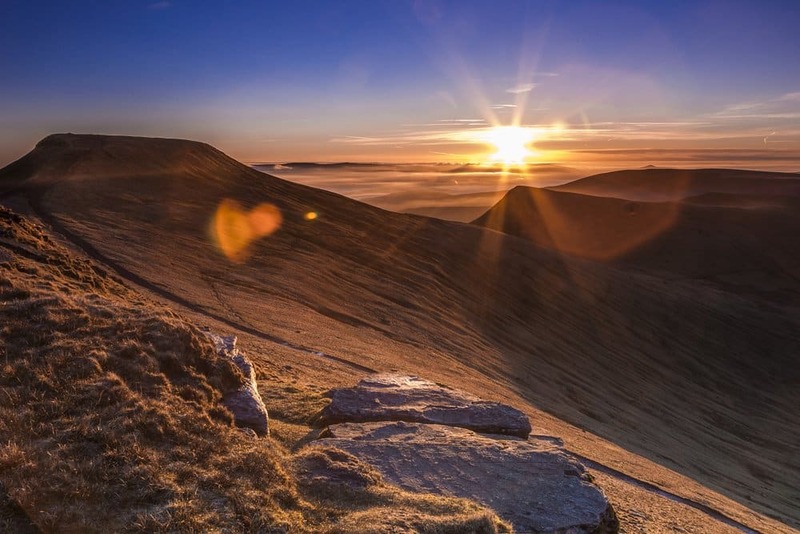 The Brecon Beacons, less than an hour north of Cardiff, the Welsh capital, is a hugely popular National Park, and the summit of Pen y Fan is the destination of choice for many visitors, especially in spring and summer. Pen y Fan is 886 meters above sea level, or 2,907 feet in British imperial measurement and can seem benign and easy on a cool spring day, with hundreds of others climbing the well-trodden path known as the ‘M4’ (after the nearby motorway that runs through south Wales) up the mountain. But in winter it is bleak and inhospitable, and in snow, you normally need an ice axe and crampons to negotiate your way to the summit. The ‘M4’ route, from Pont ar Daf on the main A470 road, takes between 45 minutes and an hour, depending on your fitness. You reach another summit first, that of Corn Du (the ‘Black Horn’), before dropping down and climbing up to the top of Pen y Fan itself. There are several other routes up the mountain, and one of the most rewarding is the long haul up from Upper Neuadd reservoir. This starts with a very gentle climb above the lake before the steep pull up to the peak of Cribyn and the final trudge up to Pen y Fan. Whichever way you go, if the weather is clear you’ll be rewarded with outstanding views over the Welsh countryside, and sometimes down to the hills of Somerset and Devon. I hope you have enjoyed this blog on places to visit Wales and that you have found lots of inspirations for what to do in Wales for your next adventure. What do you think about these beautiful places in Wales? Don´t you think Wales is worth a trip? Let us know about your Wales experiences.